Tell us about your role and how you got here? How is the Silicon Valley today different from when you first started? I landed in Silicon Valley back in 1995 after being transferred from Boston by General Electric. I had held roles in engineering and sales, and this particular role was focused on working with Apple Computers and HP on the advanced materials (plastics) needed for their next generation products. It didn’t take long to get the start-up bug and I and two others from GE started a software in 1996 to help manufacturers work with their global supply chains to bring new products to market. That company was called Supplybase and was eventually sold to a public company the day the NASDAQ peaked in March of 2000. It was truly the height of the dotcom bubble. Fast forward 10 years, what it takes to start, fund and grow a successful software company is completely different than the late 90’s. Luck and timing are probably less important, although always welcomed, and hard work, talent, and perseverance are an absolute requirement. The financial hurdles in terms of revenue or key milestones are simply much higher than they were in the 90’s and investor expectations continue to increase. I believe this is incredibly healthy. On the flip side, the advent of cloud computing and software tools that allow companies to scale infrastructure more efficiently and rapid prototyping have made it is easier to test and iterate quickly. But the thing that I believe will always remain the same is that quality talent will always be critical to success. I began my career with sales, marketing and engineering positions with GE, DuPont, and GM. I then started my first software company, Supplybase, 22 years ago in the very same month that I got my AOL subscription to the Internet. Supplybase helped global manufacturers collaborate with their supply chain to bring new products to market. As one of the first successful B2B software and data solutions in the late 90’s, Supplybase was acquired in March 2000 by i2 Technologies. Then, in 2007, I founded Demandbase based on identity technology that’s tied to company network IP addresses, and from there, Demandbase has grown to a comprehensive ABM platform powered by Artificial Intelligence (AI). Silicon Valley was completely different back in the late 90’s and early 2000’s. Today’s innovation is happening so much faster as a result of new technologies like AI and machine learning, and the talent pool has a whole new skill set, with data scientists and data engineers entering the fray. The tech companies that have weathered the rough times whether from the 2000 bubble and/or 2009 crash, and are still around today have emerged as high quality, sustainable businesses, because they had to be. What is the biggest drive to attend the ABM Innovation Summit 2018? This year’s ABM Innovation Summit will showcase the “how” of ABM from real marketers who are practicing it every day. Attendees will learn how some of the largest and fastest-growing companies in the world are using ABM to build their pipeline and save money at the same time. This conference will also cater to marketers along the whole spectrum of their ABM journey, whether they’re just getting started or aiming to advance their efforts. Attendees will also get visibility into what’s coming down the road for ABM in the future. What are the major areas of focus for modern-day ABM strategists? One of the biggest areas of focus for today’s ABM strategists is to take a full-funnel approach. 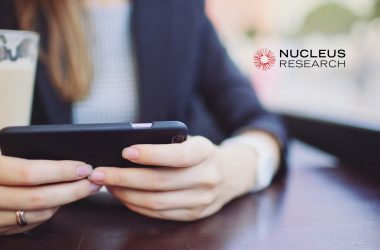 This means connecting advertising, marketing, and CRM technologies, extending to offline activities (events, PR, direct mail, etc. ), and being able to measure the success of those efforts across the entire funnel. How does attending the ABM Innovation Summit 2018 ensure success in marketing and sales campaigns? Attending does not ensure success, but it will certainly help reduce risk if you are early in your journey. The conference will provide great learning and networking opportunities, from ABM certification to a roster of all-star speakers. We hope that attendees take away from the conference the scaffolding to either get started on ABM and get the highest impact out of the gate or accelerate their ABM programs and take their efforts to the next level. In the end, having the right framework, strategy and resources to execute effectively will ensure campaign success. How do you see the Marketing Automation technologies evolving with the maturity of AI/ML and voice? What challenges do you foresee marketers will face in better leveraging ABM data? Depends on the Marketing Automation. Some are way ahead and some have not even started down the AI path in a meaningful way. Marketing Automation technologies like Salesforce Pardot are innovating and investing a great deal in AI and machine learning. The big challenge with ABM data is synchronizing across the adtech, martech and CRM technology stacks at scale. It’s not possible to have scalable, comprehensive data if you’re relying on cookies as a foundation – you’ll only get it right 15-20% of the time, which is simply not good enough. Demandbase leverages a combination of network IP for reach and an extensive 400 million person user network of cookies for behavior intent, which are all synchronized to accounts across the funnel. How do you see new-age data touch points and intent analytics impacting omnichannel ABM campaigns? Intent data will have a massive impact on ABM campaigns if it’s coordinated across the funnel. However, few companies can do this right given the complexity of the data models. It’s nearly impossible to consume intent data from one provider and make it work across three or four disparate technologies and then roll it up to accounts and sales activity in your CRM system. That’s why we introduced the ABM Platform in late 2017 that makes it possible to conduct full-funnel ABM campaigns all within a single platform. Our comprehensive ABM Platform has been years in the making and has incorporated input from some of the largest companies in the world. This took 50+ engineers working with 500+ billion intent signals, across 400 million B2B users. What are your predictions on the ‘State of Programmatic ABM’ in 2018? 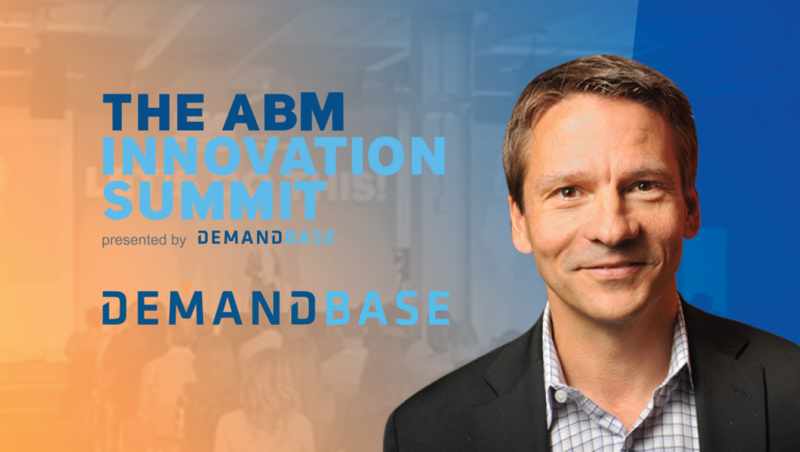 How is Demandbase preparing for the dynamic shift in ABM strategies? I see ABM becoming more automated using AI. We’ll be able to ingest massive amounts of data and automatically convert it into the insight and action needed to scale ABM efforts. With the availability of AI-powered intent data, B2B marketers will move from static to dynamic target audiences. AI will afford a window into the behavior of their accounts in real-time and marketers can design and adjust programs and campaigns accordingly. And finally, AI technologies will create increasingly personalized experiences for targeted audiences at scale and ABM will extend into other areas of digital and even offline, such as PR, events and direct mail. Demandbase is investing heavily in AI and machine learning technologies which allow us to lead the innovation and help shape the future of ABM. How do you inspire people at Demandbase to work with technology? Innovation is an extremely important part of Demandbase’s DNA. It is actually one of our core values and people are recognized for innovation in whatever job they may hold. In terms of product, it is very inspiring for engineering to building the technology that the largest technology companies in the world rely on for their own marketing. This may be boring, but I have to admit that Microsoft and Apple own 90% of my digital experience. It’s very simple – 1:1 emails are 10x more effective than any campaign-oriented messages, even if the 1:1 emails are done in a semi-automated way. For instance, personal outreach to every new customer (welcome, LinkedIn connection, etc.) is an easy way to connect with customers in a personal way and pays off with an ongoing connection. I mostly read the news. 90% of my news reading is consumed on mobile and the remaining 10% is via traditional networks like CNN. Thank you Christopher! That was fun and hope to see you back on MarTech Series soon! Chris Golec has built three successful technology businesses in the last 18 years. 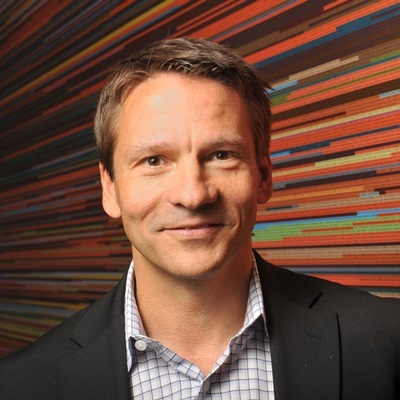 As Founder and CEO of Demandbase, Chris’s mission is to transform B2B advertising, marketing and sales through innovations in digital technology. Today, hundreds of blue-chip enterprises across the financial services, hi tech, manufacturing, healthcare and telecom industries have adopted Demandbase’s B2B marketing platform and Account Based Marketing (ABM) technology to dramatically improve the way they acquire and grow customers.